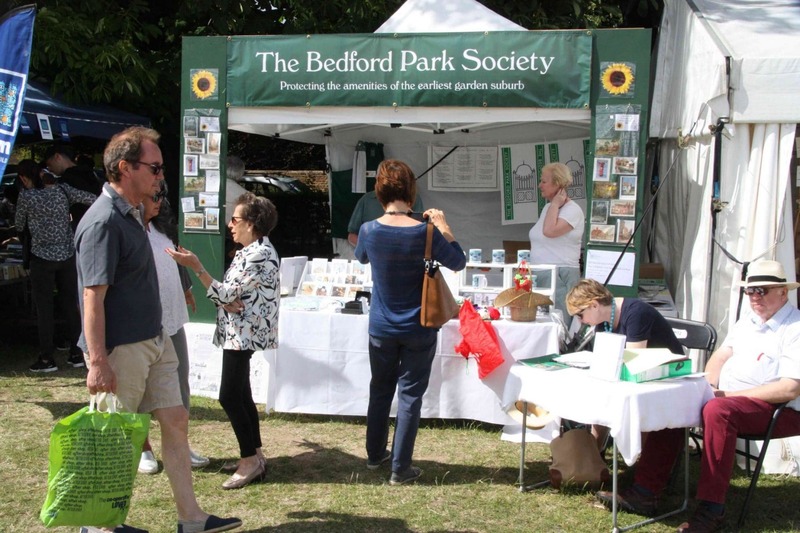 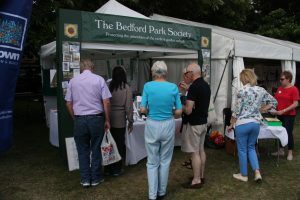 Every year the Society supports the Bedford Park Festival in June. We are always delighted to see residents and members at our stall on Green Days. 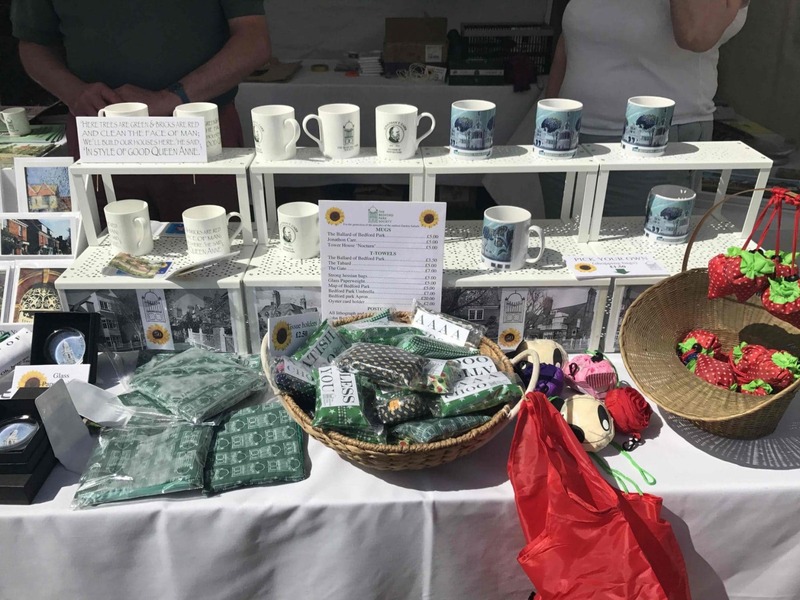 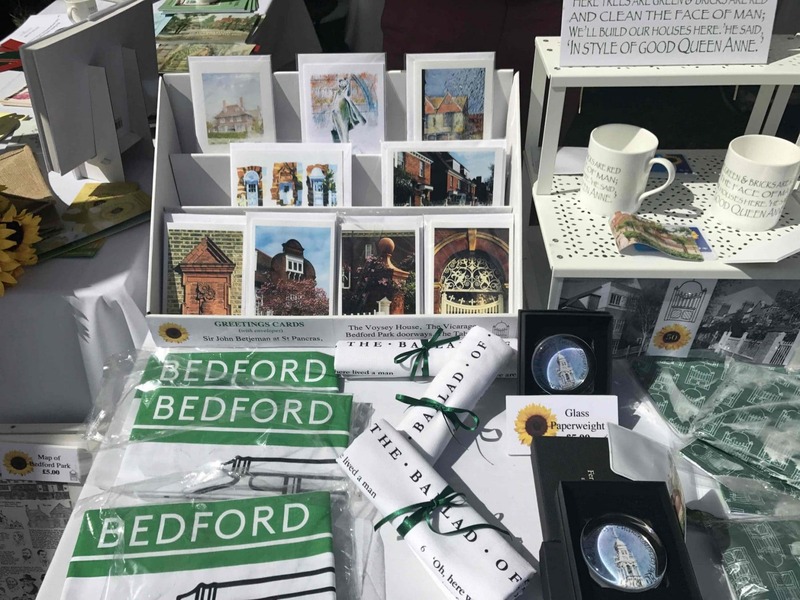 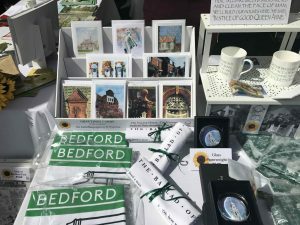 Our annual stall at the Green Days Fête & Craft Fair sells a variety of Bedford Park memorabilia ranging from cards and books to mugs, bags, umbrellas, tea towels and aprons. Our hard working volunteers man the stall on Acton Green on Saturday and Sunday and also recruit a number of new members to the Society. 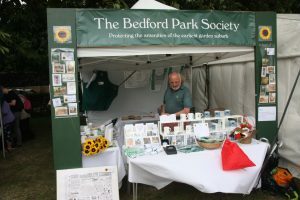 The stall provides an ideal opportunity for residents and members to stop and chat informally to the Society’s volunteers and committee members. 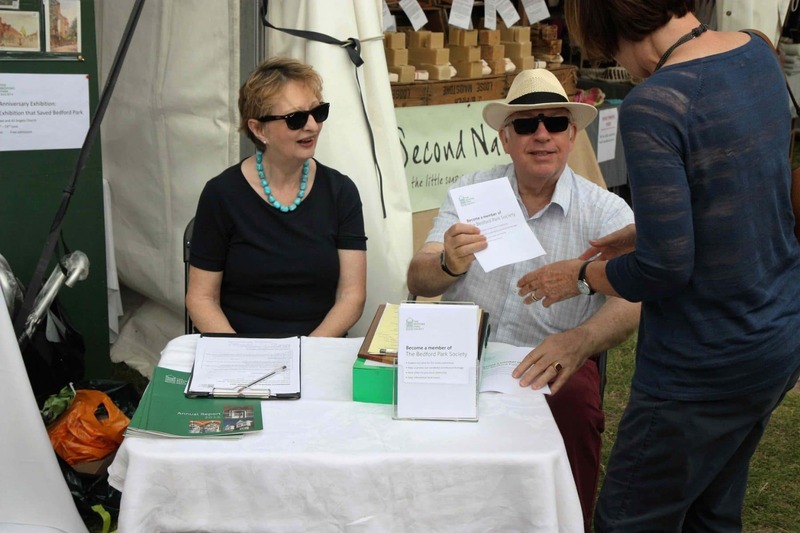 Click on the first photo to enlarge it and go through the gallery.